Casa Vieja [Sp. 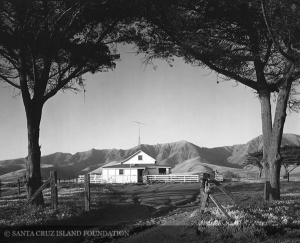 old house], Santa Cruz Island is located at the Christy Ranch, one of several satellite ranches on the island. 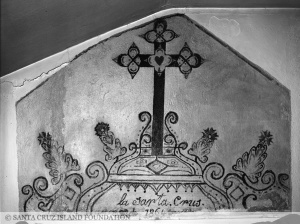 Its date of construction is unknown, however a mural containing a decorated cross painted in one of the bedrooms is dated 1864. The building is of adobe, a story and a half tall. It contains two bedrooms, a living room, and a room formerly used as the kitchen. Upstairs is one large room with sloped walls. In 1980 it underwent a major restoration under the direction of Carey Stanton. For many years it served as the hub of operations for the Santa Cruz Island Hunt Club. This page was last edited on 23 February 2015, at 17:36.